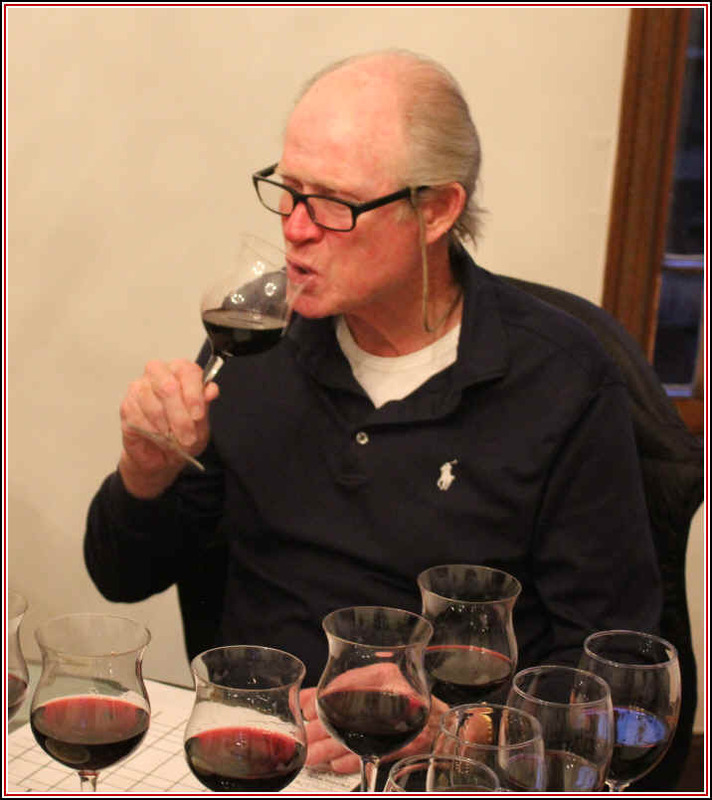 The host of our March blind-tasting assembled a set of 2016 vintage Cabernet Sauvignons, five with Napa Valley appellations, two from Sonoma's Alexander Valley and one with the generic "California" designation. Prices ranged from $9 to $85. Two wines finished a bit ahead of the pack with third to sixth place separated by a mere four points. That means the "pack" was essentially tied. There were two wines tied for last place. 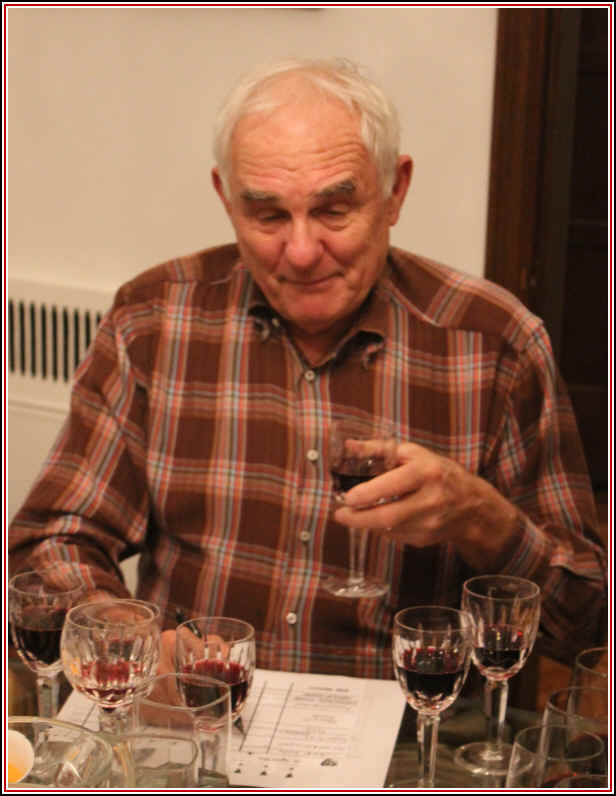 The comments from the group were largely favorable about the wines. Tasting participants mentioned this flight of Cabernets were of good quality and ranking them was a challenge. My perspective was a bit different. I didn't find any of the wines to be exceptional and many of them had a bit of residual sugar which I find to be a flaw, not an enhancement. You might think this is a take off on the famous Silver Oak winery, but the owner of this brand has an ancestor who was a pal of automobile magnates Charles Rolls and Henry Royce who built a car called the Silver Ghost. The wine was clear in appearance and medium+ ruby in color. The nose displayed some simple dark fruit notes. On the palate the wine is dry and mildly acidic with medium+ body. It struck me as a bit warm on the palate. There's a bit of tannin here, but the wine seemed a bit shallow and simple...perfectly drinkable, though. I gave it 3/4s of a star rating on my three star scale, no stars being an ordinary or standard quality wine. This brand, we're told, is a second label of the Darms Lane winery in Napa. It's clear in appearance and medium ruby in color. The fragrances are berry-like and showing mild red fruit tones. It's dry and mildly acidic, with medium body. I found a touch of tannin with medium-light Cabernet intensity. There was a faint cocoa-like note on the finish...I gave it a one-half star rating. 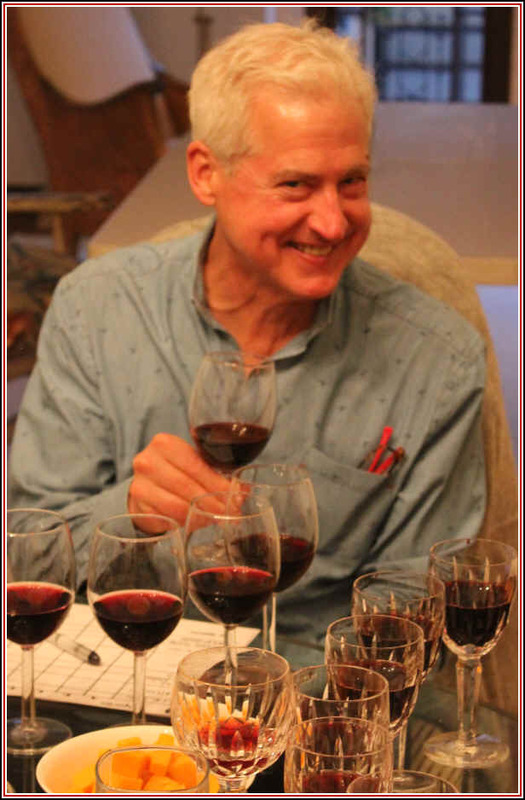 Our tasting host told the group this brand's claim to fame is the winemaker was the founder of Napa's BV winery...No, not Beaulieu Vineyard, but the Beau Vigne winery. Medium ruby in color and clear in appearance, this offered a bit of dark fruit and a faint touch of wood on the nose. It may have a few grams of residual sugar, but it's borderline at threshold level. I gave it no stars...perfectly standard red wine, but not a great Cabernet on this occasion. 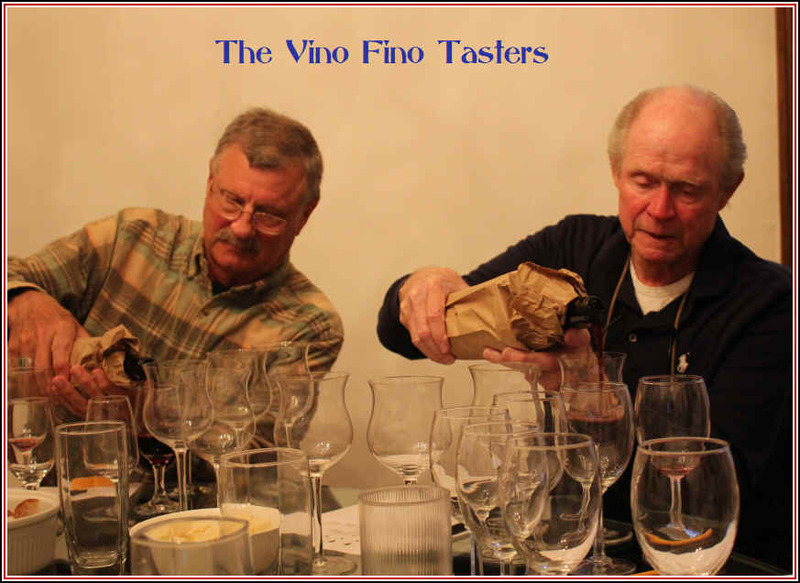 Many consumers view this brand as a benchmark for California Cabernet Sauvignon, though people in the wine trade have been disappointed at the direction Caymus (and its affiliated brands) have taken in making wines with residual sugar and possibly coloring corrections. 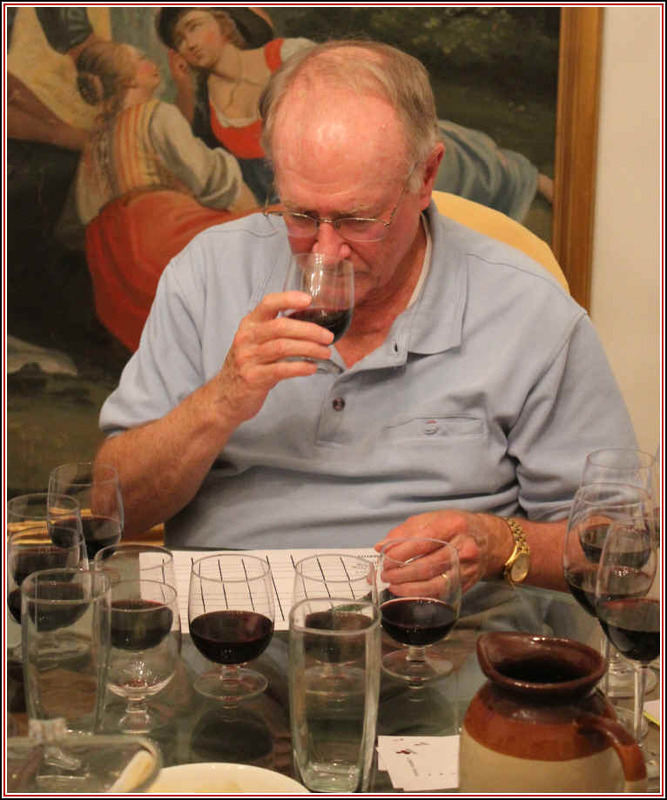 Of course, this is tasted "blind" alongside seven other competitors. The wine is clear in appearance and dark ruby in color. We found dark fruit fragrances and a mildly woodsy note on the nose. I wrote down "Mega-Purple?" on my tasting sheet as the color was so dark. It has a bit of sweetness and seemingly low acidity. Medium+ to full-bodied. It's a big, intense red with a bit of tannin and a sweet, fruity entry. 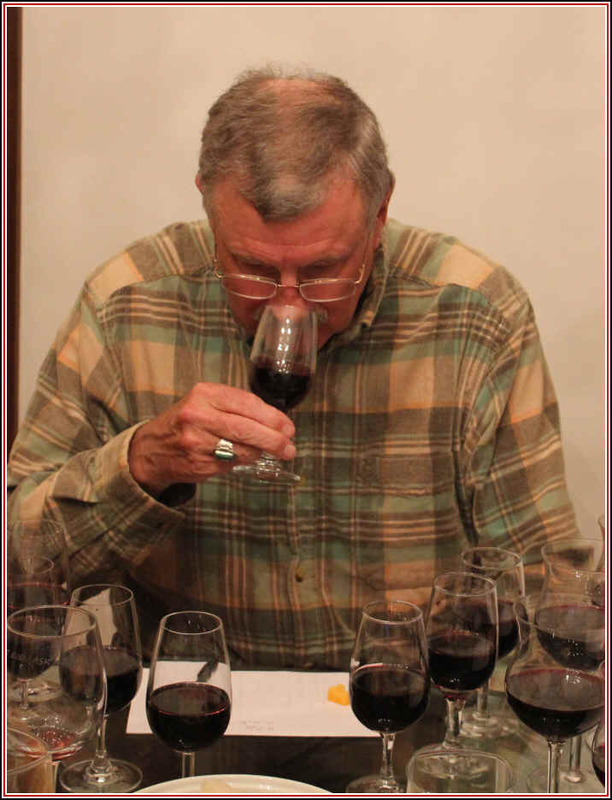 I didn't find this, like so many of the wines in this flight, to have the fragrances and flavors of Cabernet Sauvignon. It's a wine that will likely find its fans, though. I gave it a 1/4 to 1/2 star rating. Clear in appearance and medium+ ruby in color, I thought there was something flawed in this wine. I found a cooked element to the nose with jammy notes. It seemed to be older or more mature than the other wines in the flight. It has a bit of sweetness and is rather low in acidity. Medium bodied, the sweet quality is bothersome. Add to the mix, there's some heat from the alcohol. It's a very shallow Cabernet and not especially well-balanced. No stars from me, though half the tasters found this to be an enjoyable bottle. Not quite half the group found it to be disagreeable. Clear in appearance and light ruby in color, this wine offered a mildly woodsy fragrance and vanilla bean notes which I associate with some sort of wood treatment other than expensive cooperage. Wineries can submerge staves of wood into a tank or barrel or add oak chips for this character. The wine has a touch of sweetness with medium+ body. The oak is present on the palate along with a touch of tannin. It doesn't have much Cabernet character and yet it's my second place wine and the group third place finisher. That should tell you something about this flight of wines. I gave it a 3/4 star rating. Medium+ ruby in color and clear in appearance, there was a pleasantly cedary note on the nose of this wine. It had some red fruit notes, too. I had this as possibly having a touch of sweetness. Medium bodied it's a rather standard red wine with perfectly ordinary flavor. I gave it 3/4s of a star rating...not exciting or compelling. Medium+ ruby in color and clear in appearance, the first sniff brought a mildly stalky red fruit quality. 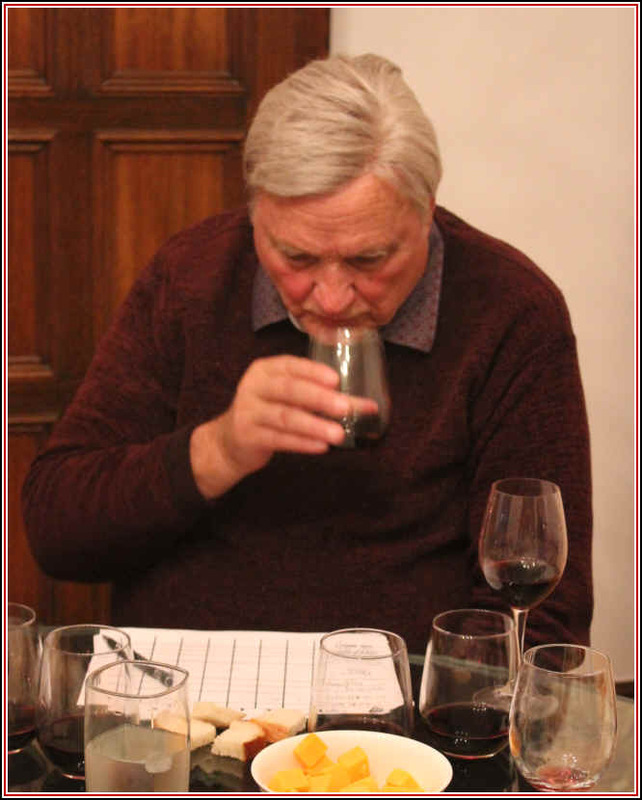 As the wine evolved in the glass, I detected a perfumy aspect to the nose. It's dry and shows good acidity. Medium-bodied, the red fruit comes through on the palate and it results in a distinctive red wine that's perfectly pleasant but it lacks depth and complexity. I was surprised that this fared well with most tasters since it's a bit atypical of the blockbuster style of red that's so popular these days. 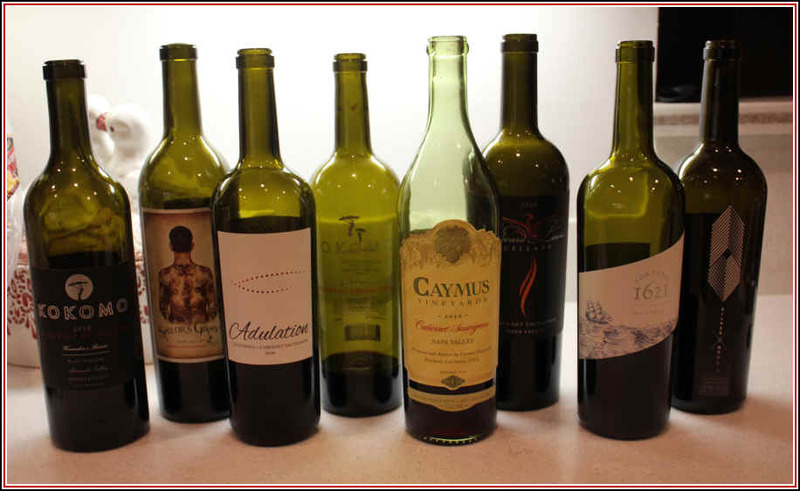 In this line-up, though, it was the most elegant and coherent Cabernet. I gave it a one star rating on my three star scale, but it's priced based on its scarcity apparently.